NOVATO, Calif -- A big-rig overturned Thursday morning southwest of Novato, spilling an estimated 14,000 gallons of paint, according to the Marin County Sheriff's Office. The incident was reported around 6:25 a.m. on Lucas Valley Road near Westgate Drive, California Highway Patrol officials said said. 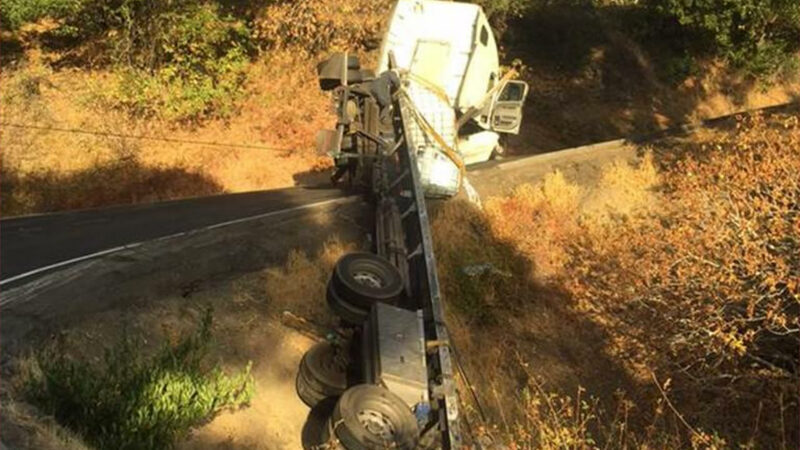 The white big-rig was hanging over a ridge and the paint spill is inaccessible, according to the CHP. Sheriff's officials said the incident required a full hazardous materials response.